Teaching children English grammar may seem like a daunting task to many teachers. Mainly because there are so many areas of English grammar that need to be explored. Also, it can be hard to hold their attention as it can be a boring subject when approached without fun. However, when approached with enthusiasm and fun, English grammar can be taught in an engaging way. These tips can be implemented at school and at home. Whether you are teaching a class full of 30 children, or you are teaching your own child at home, exposing the children to English grammar is a good starting point. Through constant exposure to the English language, children will naturally take in a lot of information about English grammar. So, either as a teacher or a parent, it is your responsibility to provide this opportunity for the children. There is no reason why children cannot practice using English grammar at home. Games that incorporate grammar into their learning are a great way to expose the children to the rules of grammar without them even knowing it. Write the shopping list together. Write letters to grandparents, brothers, aunties, etc. Write thank you cards or Christmas cards. Sit down and think of a story to write together. You can each take turns in writing a paragraph or a sentence. Another great way to expose the children to English grammar is to give them lots of chances to read. It is often thought that the best writers are the ones that love to read. Instilling a love for English grammar isn’t difficult if you can get the children interested in books. Even books for babies have basic grammar in them. So, find the right level of book for your child and read together. Talk about the book and discuss what happened. After reading a particular book, why not sit down and write another story that could include the same characters. Of course, exposure won’t fine tune a child’s grammar skills, but it will provide a good starting point. 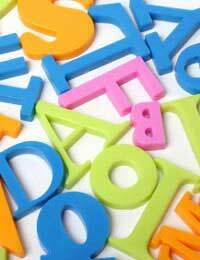 Many professionals do agree that children need a mixture of phonics training and language based training. You can implement a grammar lesson within phonics training by taking it slow and learning one point at a time. Don’t push the children too hard, and when marking work, don’t focus on the incorrect grammar. Only focus on the elements of grammar that you have been teaching. Grammar should be taught in mini lessons rather than spending all day on one subject or area. Mini lessons are great for learning one area of grammar at a time, and it gives the child chance to learn that particular element before moving onto the next. Learning is more productive for children when they are learning through play. If you can incorporate fun grammar games into the school day or at home, the children can learn as they have fun. Make sure the activities you choose are at the right level for the children and find a game that can involve everyone. Split them into smaller groups or give them activities to do on their own. Children will pick up grammar if they are given the chance to learn it in a fun way. Grammar can be a lot of fun if approached with enthusiasm by the teacher.